Hi! 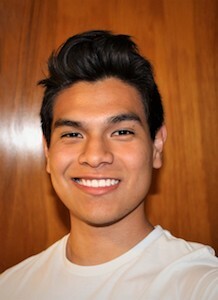 My name is Aaron Ceceñas and I was born and raised in Roswell, New Mexico. 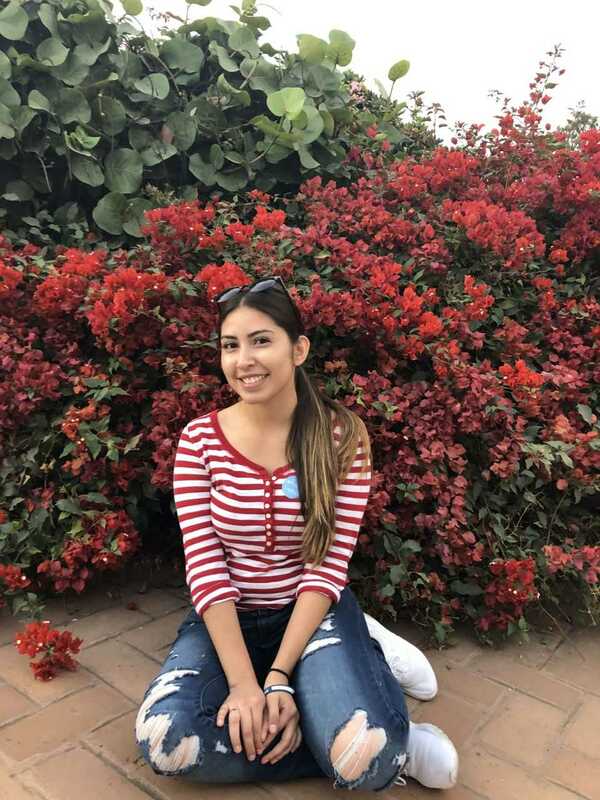 I am currently a Business Administration major in my Sophomore Year of college and my hopes for when I graduate with my bachelor’s degree is to be the first in my family to attend law school. My past experiences with attorneys inspired me to help other people with legal issues. Since then I have been chasing my dreams in a career path that has a low number of Latinos graduates and workers in the field of law. So I believe El Centro de la Raza is the perfect resource center to help me to reach my goals and help others as well. I was born in and partially raised in Santa Fe, New Mexico as well raised in Michoacán, Mexico. Having the chance to experience two different lifestyles made me realize that my passion is to be a surgeon because I want to be able to help people. In order to be prepared for medical school, I’m majoring in both chemistry, to learn sciences needed, and Spanish, to be able to communicate with people in their native language. Although my main goal is to be prepared for medical school I also want to learn more about the Latino/Hispanic culture. Working as Student Success Leader in El Centro de la Raza will help gain more knowledge about this culture and help me develop many skills for the future. I was born in Ciudad Juárez, but lived most of my life in Albuquerque, New Mexico. I am a junior in the Anderson Program for Finance, and am a first-generation college student alongside my two older brothers, both of whom graduated from UNM. I hope to follow in their footsteps and continue my education after my undergraduate. I wish to obtain an MBA and work for the local government. The intricacies of policy-making and political maneuvering have always fascinated me, as well as the economy. Being at El Centro has helped me on my journey towards higher education, and is an amazing resource for not only Hispanic students, but for all that walk through our doors. Hi! My name is Daisy Olivas and I was born in Albuquerque but raised in Santa Fe New Mexico. My family is originally from Cuauhtémoc, Chihuahua. I am a sophomore here at UNM as well as a first generation college student majoring in International Studies with a minor in Media Arts. That being said, I am very interested in learning about different cultures, traditions, and languages. One of my educational goals is to study abroad and get to experience living in another country. I hope to see many faces at El Centro taking advantage of the services that we provide. Not only will we help them succeed academically but also make them realize how important they are in the community. I’m excited to be a part of El Centro family as I hope to grow as a person and be more connected to my culture. 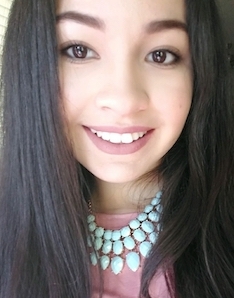 Hello, I am Sonia Ramirez and was born in Salinas, California but have lived in Albuquerque since 2002. My mother is originally from Delicias, Chihuahua. Growing up she encouraged my older sister, younger brother and I to always follow our dreams. To us that meant pursuing an education. I am currently double majoring in Psychology and Family & Child Studies with a concentration in Human Development and Family Relations. My ultimate goal is to become a Clinical Psychologist to help the youth in our community. I believe El Centro will strengthen my connection with my culture while allowing me to interact with a diverse group of students. I encourage anyone looking for resources, a place to call home or encouragement to come visit us at El Centro. I hope to see you there! I am currently a Junior majoring in Secondary Education and minoring in Chicana Chicano Studies. I was born in Oregon but raised in Albuquerque, New Mexico. My family is from Zacatecas, Mexico. I am proud to say that because of my roots I have learned to value education, family and my Mexican culture. I always remember having great pride of my “cultura” and I make sure to embrace it. I am the youngest of four siblings and the third one of my sisters to work at El Centro. I have been coming to El Centro for many years now with them and I am extremely happy to be a part of the El Centro family. Hi Everyone! I was born and raised in Mexico City and moved to Albuquerque to come earn my undegraduate degree in Chicana & Chicano Studies and Psychology. My passion lies in helping the Hispanic/Latino community, which what led me to come to work at El Centro. I hope that after I graduate, I can go earn my master's in Public Health. Come say "Hi!" whenever you come by the front desk, I hope to see you there. Hey Everyone! My name is Florentino Barrientos. I was born and raised in Roswell, New Mexico and moved to Albuquerque to study at UNM. I am currently a junior in the School of Engineering's Computer Science program. I am a first generation college student and am following the footsteps of my siblings to graduate here at UNM . My family originates from Villa Insurgentes, Zacatecas. One of my main goals is positively affect the livelihood of those around me and I believe a strong, community-oriented organization like El Centro will help me accomplish those goals. Please feel free to stop on by and use our resources! I am usually working "behind-the-scenes" when it comes to updating the website and helping out with other tasks, you can usually find me in the front office or even in the kitchen. Hope to see you there! 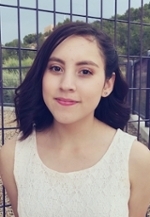 Hi guys, my name is Karina Gallegos and I was born and raised in Albuquerque, New Mexico. My parents are from Delicias, Chihuahua, and I consider that my home. I am a freshman and currently working on a double major in Criminology and Spanish with a minor in anthropology. I live in the west-gate area, and graduated in May of 2018 from Atrisco Heritage Academy H.S. During high school, every single morning on my way to school, I drove by the crosses of the 12 girls whose bodies were found in the mesa. They are one of my biggest inspirations to become a forensic anthropologist and to help find peace in their family’s homes. Community is a big factor in who I am, and as a result, I find El Centro feels a lot like home to me. I come from a bilingual family, and often speak Spanglish in my every day conversations. I believe it takes a community to raise and nurture an individual and because of that one of my biggest life aspirations is to one day give back to my community. I find doing that comes easily when working at El Centro. Stop by El Centro anytime and I'll be there to help.